Winthrop Douglas - Protecting Your Territory. Protecting Your Business. Who’s looking out for your brand equity when you do business in so many places? In today’s market, your business is continually entering new business ventures and partnerships. You strive to create the best products for your consumers. At Winthrop Douglas, we ensure your business partnerships maintain the same high quality standards that you demand. 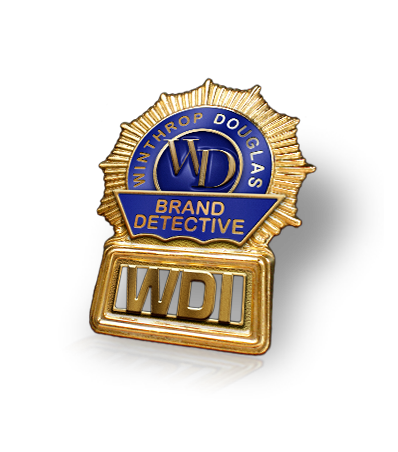 Winthrop Douglas partners with our clients, providing nationwide brand protection services. We monitor territory and franchise infringements, perform product retrievals, and provide quality control audits and litigation support. We are vigilant in protecting your interests. We are in thousands of retail and wholesale outlets every day, securing unbiased information to settle territory and contract breaches. We can save your company thousands of dollars in litigation costs by proactively addressing your issues. We immediately retrieve affected product from the market to minimize your consumer and business risk. Our goal is to help you preserve years of brand image, protect your customers, and mitigate potential litigation concerns. We are in the market, retail or wholesale, in any neighborhood as a neutral party to gather data for your business needs. Information we secure allows you to make critical decisions, ensure quality, achieve competitiveness, and guarantee your brand's success. We retrieve crucial data needed to substantiate your legal team's facts and position. Our principals' experience and law enforcement background can provide expert witness services should litigation be necessary. We're good for your brand, we're good for your business. The work of Winthrop Douglas field representatives can save your company thousands of dollars by upholding the integrity of your product and your business, preventing legal complications and avoiding costly litigation. Our mission is to help ensure your success. Tell us what you need. We'll take care of the rest. We are always expanding our nationwide network of quality field representatives. If you feel you possess the skills and character necessary to join our team, please contact us to learn more. Learn how Winthrop Douglas services can provide business solutions for your organization. You can call us, send us an email or fill out the form below to reach us right away. For more than a decade, Winthrop Douglas has partnered with some of America’s largest manufacturers in protecting the integrity, freshness and placement of your products in the marketplace. We serve as your watchdog in the marketplace protecting the investment you’ve made in your brand.